Developments in the Catholic Church in the last several decades has created a necessity to call upon lay faithful to assist in the distribution of the Most Sacred Body and Blood of Jesus Christ. Here at St. Joseph we invite any practicing Catholic with a true and reverent belief in the Real Presence and who follows diligently the precepts of Holy Mother Church to volunteer once or twice a month to assist our priest and deacons in the distribution of the Sacred Species. Training is provided. For more information on The norms and guidelines for Extraordinary Minister of Holy Communion please visit the United States Conference of Catholic Bishops (USCCB) website. The public proclamation of the Holy Scriptures has always been of central importance in the life of the people of God for "when the Sacred Scriptures are read in Church, God himself speaks to his people" (GIRM no. 29). It is the lector who has been assigned this task to proclaim the Scriptures with a "loud and clear voice" (GIRM, no 38) for the benefit of all. Volunteers for this ministry are always welcome. Training is provided. Altar servers have the sacred duty of assisting the priest celebrating Mass. 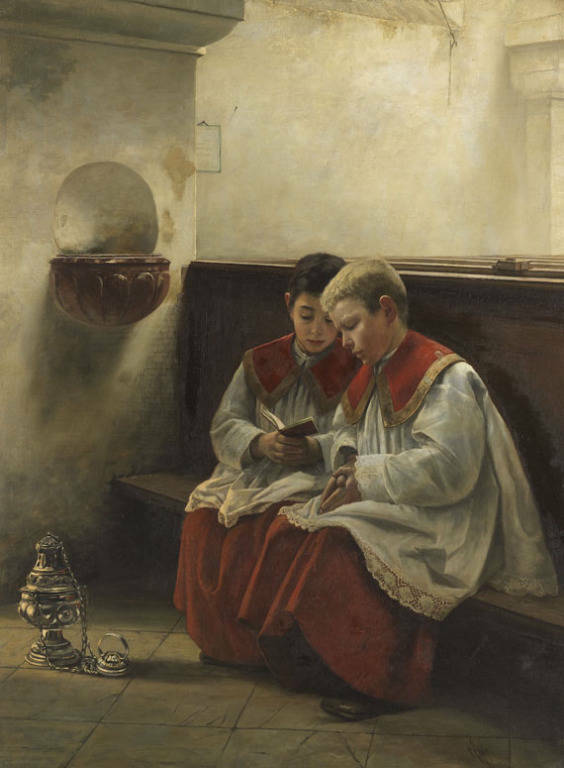 The essential duties of the altar server is to "carry the cross, the processional candle, hold the book for the priest celebrant when he is not at the altar, carry the incense and censer, present the bread, wine, and water to the priest during the preparation of the gifts or assist him when he receives the gifts from the people, wash the hands of the priest, assist the priest celebrant and deacon as necessary." This service is open to both boys and girls from third grade onward. Volunteers are always welcome. The majority of our servers are students, but adults also serve. Servers also assist during special Masses, funerals and weddings. Classes of instruction are held periodically. Sacristans make sure everything is in place for the celebration of Mass. They also clean vessels and put away books after each Mass. Training is provided. Volunteers are needed for each of the weekend Masses and holy days of obligations. Greeters and ushers support our celebration of Mass by greeting people as they arrive and assisting them to find seating or other church facilities as needed. Ushers collect the offering during Mass and distribute bulletins to departing churchgoers afterward. Men and women of the parish are always welcome to volunteer to be greeters.